The new Arizer Extreme Q is a great no-nonsense vaporizer that gives the user more ways to enjoy their favorite herbs than ever before. Looks like those guys over there at 420Lenny have gone and put out not only a great vaporizer, but a great vaporizer unlike any other you have ever seen before. That is, unless you are from the future traveling through time. For those of you who have purchased or used the Iolite vaporizer and been unimpressed with its performance, or you just want to get better hits, the Iolite Optimizer just might be the answer to your problems. 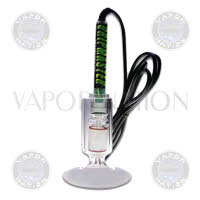 The Optimizer is used to better control the amount of vapor in the vaporizer. 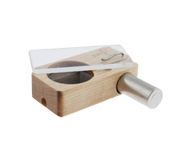 It is a small 3 prong metal piece that you place inside the heating chamber which will supply 3 more sources to help in the heating of your herbs. Although it does cut down on the amount of space you have in your chamber, it’s a small price to pay for better all around hits that everyone is always looking for. The 3 extra prongs will also allow you to reach the optimal vaping temperature faster than ever before. Thus increasing the surface area of contact with your herbs. VripTech Heat Wand has Arrived! VaporBrothers EZ Change Whip Kit is Hot! 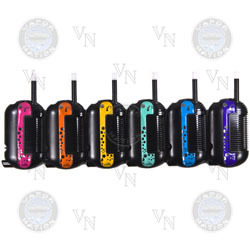 Magic Flight Launch Box Portable Vaporizer on Sale! 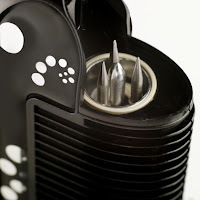 Storz and Bickel Volcano Vaporizers Still Reign Supreme!